She is a potential witness in the case of the antigraft agency chief. 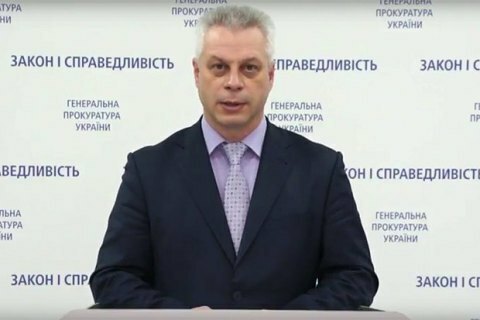 The Prosecutor-General's Office (PGO) will not interfere with the professional activities and personal life of the presenter of the Schemes investigative show, Natalya Sedletska, PGO spokesman Andriy Lysenko has said on Facebook. He was commenting on the 27 August ruling of the Kyiv Pecherskyy district court to grant investigators temporary access to her phone. Access is being granted to data on the journalist's calls and texts from July 2016 to November 2017 and geolocation of her phone during these 17 months. Sedletska and a number of other journalists are witnesses in the case on a likely leak of confidential information by the head of the National Anticorruption Bureau of Ukraine, Artem Sytnyk. The case was opened after an off-the-record conversation between several news media editors in chief and a man sounding like Sytnyk and talking about criminal cases was leaked online. "The person in whose regard the court has taken its decision is a potential witness alongside other citizens. Documents containing information from a telecommunications provider, access to which has been granted by the court, will not include the text of conversations. We are not talking about wiretapping the mentioned person or other subscribers. There will be no interference with the professional activities and personal life either," he said. According to Lysenko, the court permitted investigators to examine the provider's data over 17 months to establish the date, time and place of the possible leak of confidential data by Sytnyk.